More and more individuals and companies are buying green and “Eco” where possible. This is not a fad, it’s a global change and one we can’t ignore. Many people started at home buying Fairtrade, Eco detergents, free range and organic foods etc… but many organisations are now questioning the products they buy. Is the packaging recycled, is there a green alternative, are the raw materials from a re-cycled or sustainable choice, is the product or any of its substantial parts recyclable. These are just some of the requests we get on a daily basis. During product development or re-development, we ask ourselves the same questions. And where practical we chose the Eco Friendly choice whenever possible without compromising the product quality. Our Eco Friendly range of products represents the epitome of these choices, as only when our stringent standards are met do we endorse them as an Eco Friendly product. These standards involve the raw materials, the manufacturing process and the packaging. Our determination and ethical approach to the Eco Friendly brand is to ensure where used we do so with confidence that we have done all we can to eliminate environmental effects of any components used, any packaging and any manufacturing techniques. 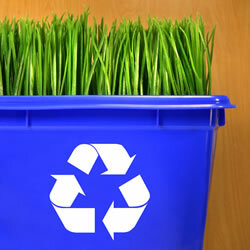 Where recycled materials can’t be used, our next choice is recyclable, sustainable, or ethically manufactured materials. We strive to achieve 100% - and are almost there – the above examples by weight will reach well over 90%. We are currently carrying out research and development of other materials and components – but we also want to ensure that the function and life of a product is not hindered or compromised by our choice of materials.